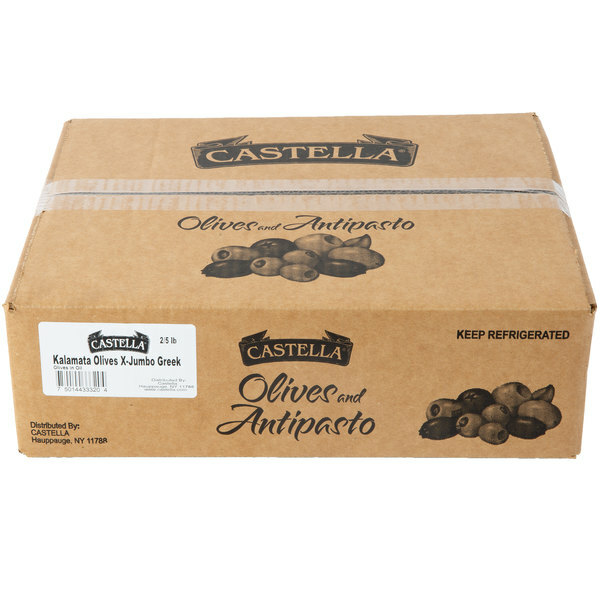 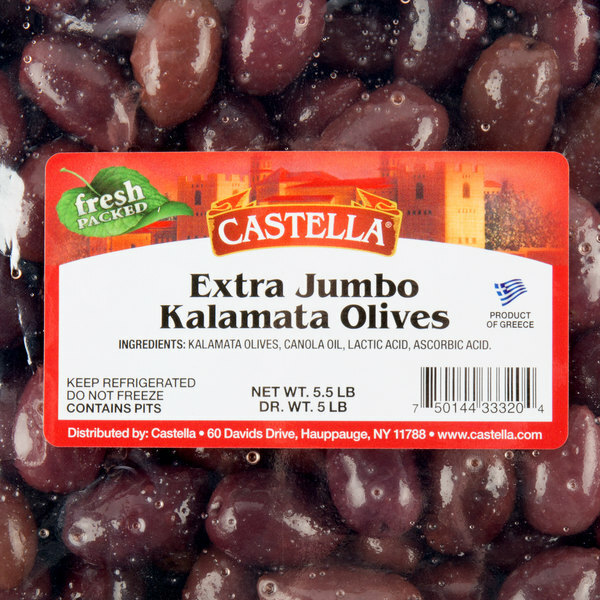 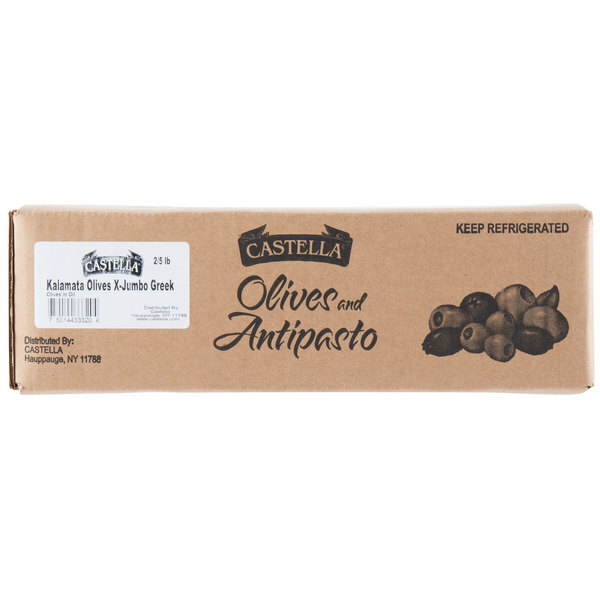 Hand-picked from the Kalamata region of Greece, these Castella extra jumbo kalamata olives will put the perfect finishing touch on any dish. 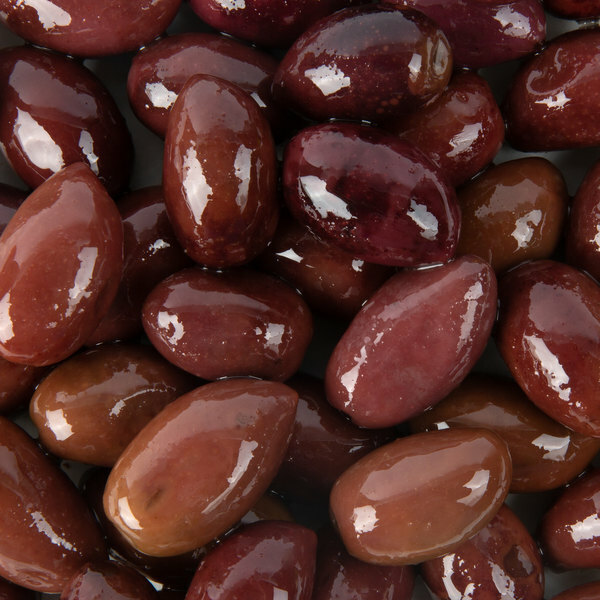 Customers of your restaurant or cafe are sure to love their dark eggplant color, almond shape, and smooth, rich flavor with a hint of salt. 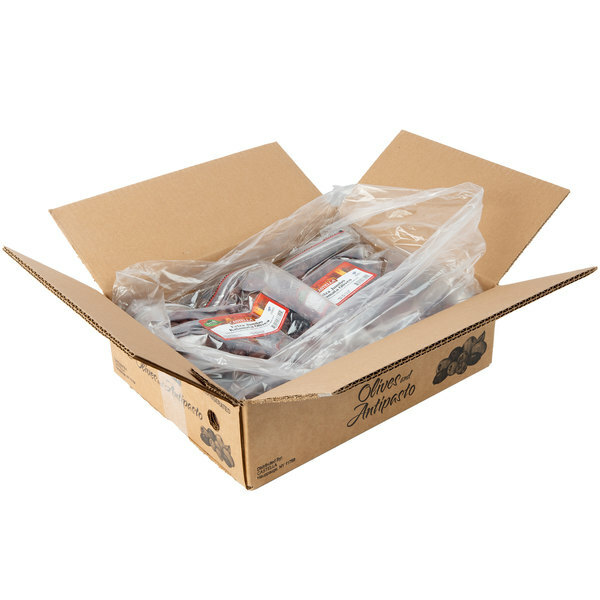 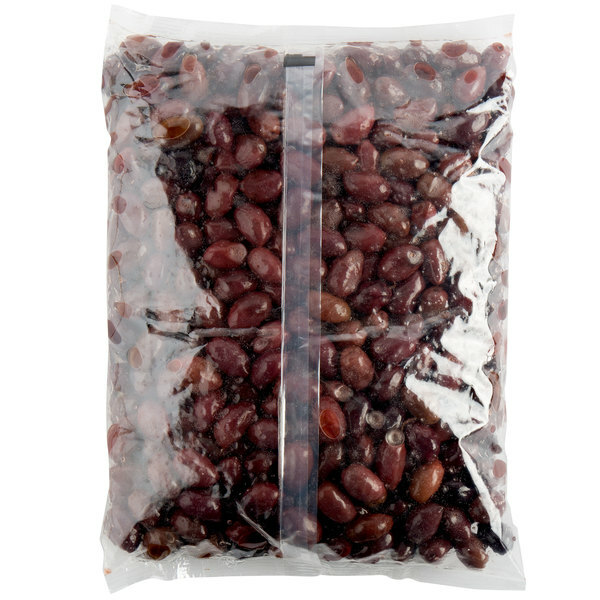 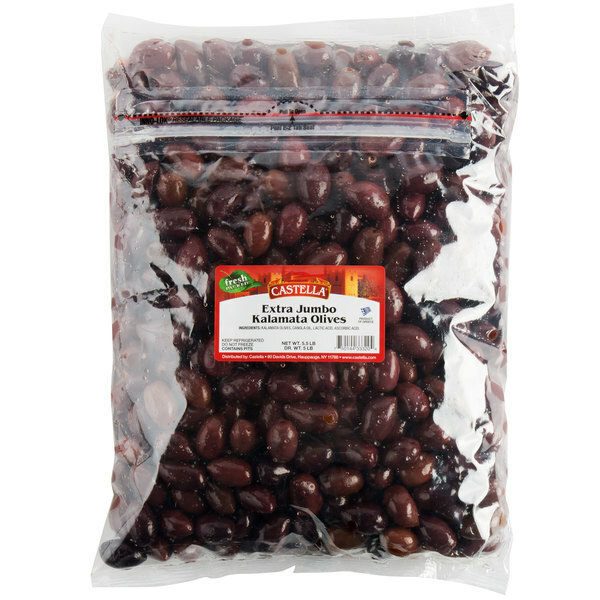 You'll be in good supply with these extra jumbo-sized kalamata olives, preserved in a bulk 5 lb. 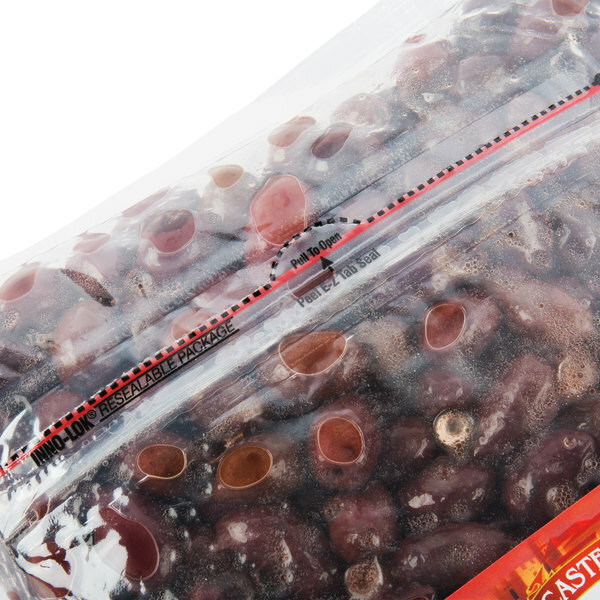 resealable container and ready to serve.